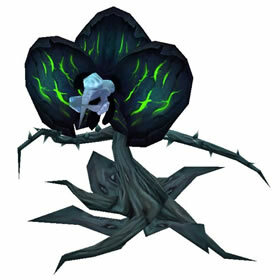 Players with the Herbalism profession have a chance to loot this pet when harvesting Fel-Encrusted Herb or Astral Glory Herb nodes in Argus zones. It's worth noting that you don't need any particular level of Herbalism to farm up this pet, meaning you can train Herbalism on an alt and go looking for it immediately. I started picking Fel-Encrusted Herbs at a skill level of 1 and had only reached 62 by the time I looted a Lasher. I am losing the fun to play this game and collecting pets. Have collected 50 stacks of Astral Glory and still no pet. Don't think the drop rate has been improved at all. And just when i was considering quiting i got the pet after 62 stacks of Astral Glory. The drop rate does seem a little better. I got mine at the end of about three hours of riding round picking herbs. Before the hotfix I picked about 200,000G worth of herbs without any luck. Players with the Herbalism profession can loot this pet when harvesting herbs in Argus. The drop rate has 'increased' etc. BUT this STILL took me over 12 hours of hard at it play, by which time I had accumulated 11 STACKS of Astral Glory, to give an idea. Even with Sky Golem, enchant on gloves, anti stun barding, all that, it was a VERY tedious exercise. So I'd suggest if you see one for a decent AH price (on my server it was like 200k and NO way I'd pay that for a pet, one like this at least - did see 50k for example elsewhere), then do THAT. This got me rather testy. 9/19/17 hotfix - Fel Lasher drop rate increased. It can now also drop from Astral Glory on Argus. Currently exceedingly rare drop from Herbalism on Argus. If you find one, I'd consider cashing in on it before the drop rate gets buffed to a more reasonable level like the skinning pet. A decent pet that is pretty much a glass cannon at 1319 HP and 341 Power.